The time and effort you put into writing your book paid off – you got a publishing contract. And, now you’re book will be out in a few months. It’s time to get your visibility and platform in place and you will take your first step by creating a website. Sorry, there’s no way around this one – you must create a web presence. 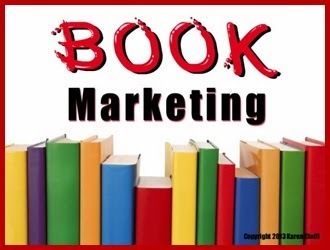 The first tool in your book marketing visibility toolbox is a website, and it should be created before your book is published. You can choose a website or a blog and you can get either type for free from sites such as Wordpress.com or Blogger.com. I use Bluehost for my website hosting service and highly recommend them. I like there service so much, I'm even an affiliate for them. If you find the thought of having to create a website daunting, go for Blogger.com; it is very user friendly and good for beginners. And with its updates, it has a number of features much like a website. It's not uncommon for writers to need help with book marketing, including websites and SEO, it's impossible to be proficient at everything. Thankfully, there are those who know the ins and outs of optimizing websites, if needed take advantage of them. This is a reprint from 2011, but the information is well worth repeating. This 4-week in-depth and interactive e-class is through WOW! Women on Writing and covers all the tools you’ll need to build visibility and traffic, and boost sales. Hi Karen, thanks for reposting this. This blog always has such great information. Thank you for sharing your knowledge with everyone who stops by. It's appreciated. Susanne, Thanks so much for your kind words - they're certainly appreciated! I'm glad you found this interesting.